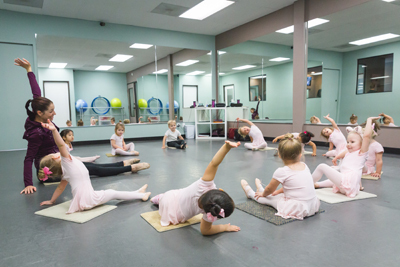 4SDA has designed a summer program to inspire dancers of all ages and skill levels. Click the blue bars below for more detailed information and then download the Registration Form or Contact Us to sign up today! This 3-Day Workshop is designed for dancers who are looking to expand their range of movement and understanding of their body. Curriculum includes a full contemporary technique class, followed by improvisation and choreography classes. At the end of the three days, dancers will have both a deeper understanding of how to move their bodies and will gain tools to use in their own exploration with choreography. On the last day, we will present a small work that the group will have choreographed for family and friends! 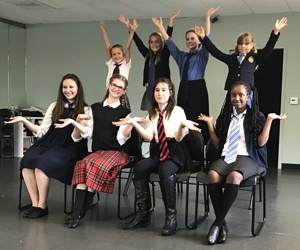 This program is designed with a broad spectrum of activities, exposing students to all the different areas of musical theater. Curriculum will include lessons in improvisation, acting, singing, and dancing. In addition, they will also learn about costuming, production, stage makeup, and working in a group to make great things happen. This week is designed to bring beginners, seasoned artists & those in-between into a place where they will all learn and enjoy working together. 4SDA Open Classes are designed for new and experienced dancers. There is no registration fee and students can take a single class at the drop-in rate or purchase a multi-class punch card at a discounted rate. Each week has a new theme: Under the Sea, Trolls Party, Superheroes & more! *Trials classes are not offered during the Summer Session. *All classes have limited space. Reserve online in advance. *Additional weeks may be added based on interest. *Multi Camp, Intensive and Workshop Discount available.